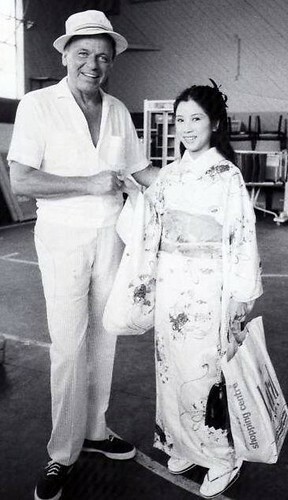 The caption says Frank Sinatra with Tokyo geisha, but nothing in particular about her says geisha, even in casual wear. But she looks familiar to me; is she maybe an actress or singer? I figured if anywhere, this would be the place to ask, even though it's not in most people's field of expertise.